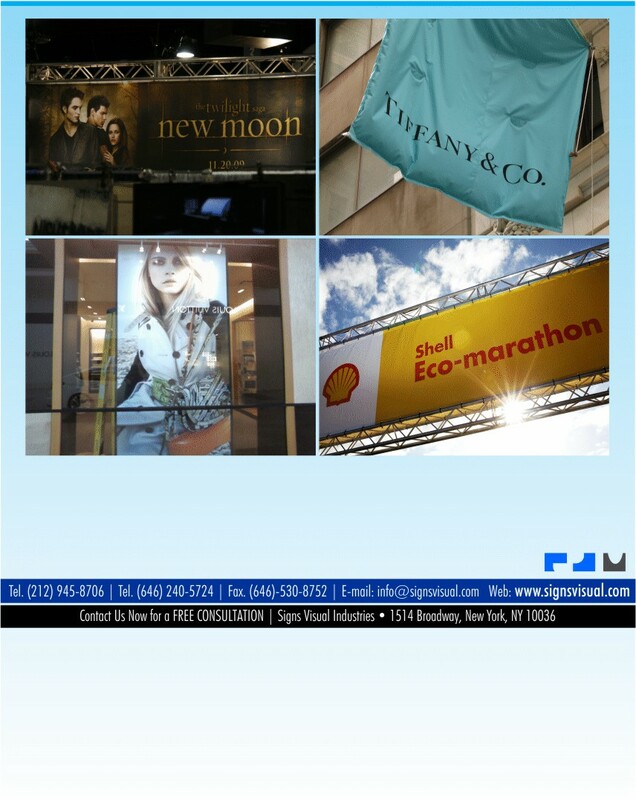 Signs Visual is your source for custom printed corporate banners and corporate graphics in New York, NY. Our company banners feature corporate branded logos, typeface, lettering, and imagery to communicate the look and feel of the organization. These banners are typically printed on either vinyl or fabric banner material. We offer quick turnaround and competitive prices. They are perfect for advertising retail graphics as well. Contact us today for a free quote on your next corporate graphics order in NYC!